Attendees of the 2012 Color of Hope saw green Friday night at the John Q. Hammons Center in Rogers. In the fifth year of the event, guests were asked to wear green to support the Arkansas Children’s Hospital and help celebrate the hospital’s 100th birthday. Neile Jones and Brad Reed emceed the evening and Steve and Lori Collins once again acted as co-chairs. 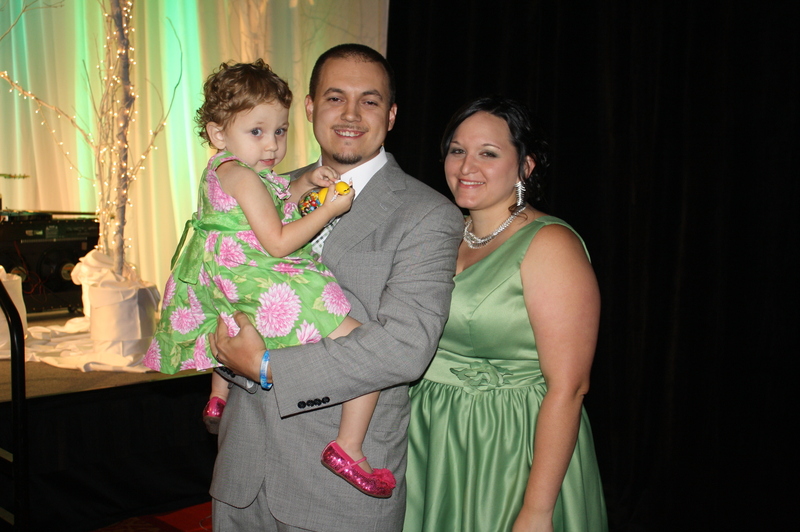 The 2012 Color of Hope Champion Family, Angela and Josh Gillooley, spoke about their experience with the hospital when their daughter, Ireland, was born with a severe heart defect. Guests enjoyed dinner and cocktails, including the event’s signature Hopetini provided by Ruth’s Chris. The short program was followed by an exciting live auction featuring items such as a trip to the Super Bowl, an eight-night trip to Ireland and five nights in St. Lucia. Memphis Soul Revue entertained guests on the dance floor to close out the event. Color of Hope wrapped up the annual two-day golf tournament, Will Golf 4 Kids, which was held at the Kingsdale Golf Complex in Bella Vista and co-chaired by Kyden Reeh and Mike Sewell. The tournament was founded in 1993 by Walmart and is now in its 19th year as the largest single fundraising event for the hospital. To view the complete gallery of images from Color of Hope, please click here.